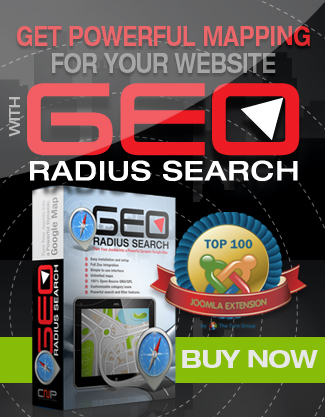 GEO Radius Search 2.8 - GRS Alive and well! 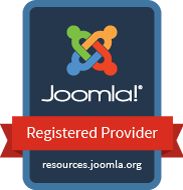 With this release we are glad to introduce many new features inspired by the Joomla Resources Directory team. We have also furthered our preparation for future improvements. Over the past year we have had several transitions of developers supporting the GEO Radius Search (GRS). The fortunate thing is that through this process we have gathered many great ideas on how to improve the code and make this an even more valuable application. The down side is that we have had a few luls in support and our release schedule has not been as consistant as we would have liked. Well with that said we are back with a great new team, improved development process and some exciting new features in this release. Added condition if user didn't enable share location then component detect the ip address and extract coordinates and use it to calculate distance. Fixed the arrow CSS issue. Fixed dropdown issue by expanding the form based on number of items inside the dropdown. Release Note: Currently we have not updated the documentation for the 2.8 features but plan to do so as part of our next release. This is a very time consuming process and we plan to make several changes to the admin UI and do not want to duplicate this process. Try our FREE Joomla Extensions! Joomla "Pay with a tweet"
Joomla "Pay with a FB Post"
Joomla "Pay with a Google +1"
Do you like it? || Show us! Sign up for our newsletter. No spam, no pestering, just news, discounts and more cool stuff!